KILIAN created MY KIND OF LOVE, an entire new fragrance collection for young lovers: five scents inspired by moments of seduction without inhibitions, audacious declarations of love and the will to love freely. 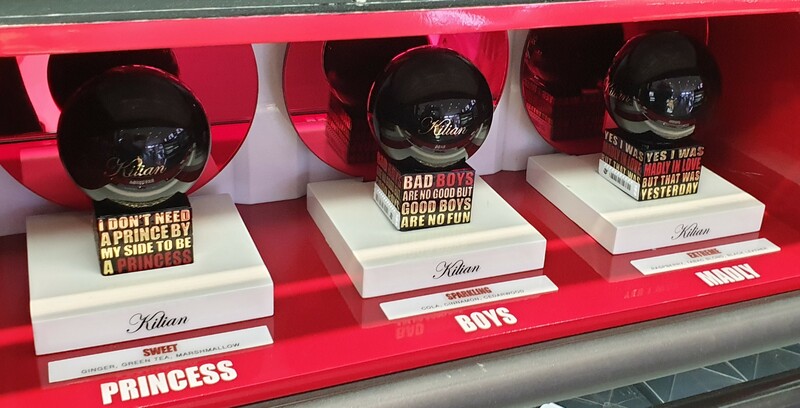 I was pretty much stalking Sephora ever since I discovered Black Phantom (Memento Mori) by Kilian, which was how I stumbled on them setting up the display for the new Kilian Perfumes! They had cute packaging and absurdly long names, but were considerably less expensive than Kilian Perfumes from previous collections. Sadly, as you can see, not all 5 made it to our little Kuwait, but hey, 3 is better than none, amirite or amirite? I also spotted the “gender neutral” Fragrance brand called Commo̲dity (pics below) and last but certainly not least, they’ve finally started selling Farsáli at our local Sephora! Like I said in my previous post (here), they brought out all the Limited Edition Collections of the past year (Fashion Show Collection – Angel Collection – Disco Nights Collection, etc…) and knocked them down to half price, whereas the Signature Collection (permanent and can be purchased at any time from any branch) in the old-school packaging (Love Spell – Pure Seduction – Aqua Kiss, etc…) as well as all the newer collections (Cozy Collection – Midnight Blooms Collection – Star Struck Collection, etc…) retailed for KD 7 (full price) but were included in a “Buy 2, Get 1 Free” promo. I ended up getting 2 from the Signature Collection (plain packaging) for KD 7 each, qualifying me for a third one, either from the Signature Collection or any of the newer collections (for free) so I chose Jasmine Noir (newer collection). The other 3 (Afterparty Angel – Glitter Hustle – Shot of Coconut) were not included in the “Buy 2, Get 1 Free” promo, since they were from older collections, but they had all been reduced to only KD 3/500 each. As you can see from the plain packaging, the first two (Rush + Velvet Petals) were from Signature Collection (permanent), whereas the rest were all Limited Edition. I had a wonderful time sniffing and playing around with all those Fragrance Mists! I could’ve stayed there forever! Best of all, the sales assistants left me alone (to play in peace), for the most part, because they were so busy with other customers! I’d purchased MAC “Velvet Teddy” ShadeScent Eau de Parfum earlier (haulage here) and was constantly being complimented by everyone (guys, girls, randos) whenever I wore it! 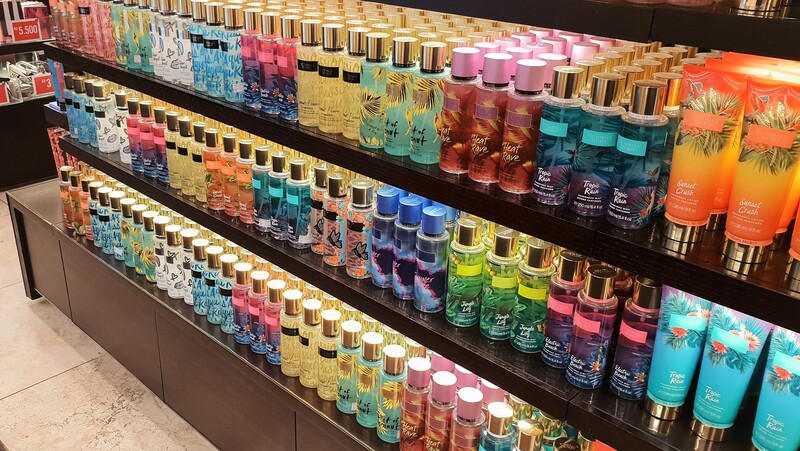 Other people’s opinions aside, I had fallen in love with the scent… hard! Since I couldn’t find it locally (even if it’s still in production abroad, they randomly just stop bringing stuff over), I had to start rationing what little I had left. As luck would have it, I spotted it on Nordstrom so I figured I could keep repurchasing it in twos; one for myself (assuming I was going to run out of it pretty regularly) and one to gift to whomever had asked for it at the time (younger brother, favorite cousin, bestie, etc…). It’s touted as a dupe for Tom Ford Tobacco Vanille, but I love it because it’s different than anything I’ve ever owned up to this point. It just smells so good! 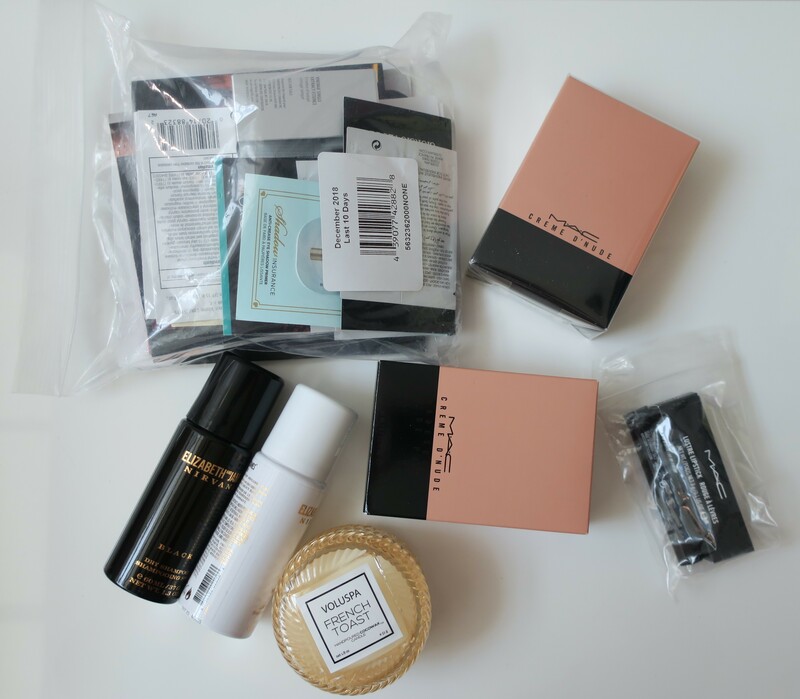 Nordstrom happened to have this promo where if you spent XYZ amount, you got a Skincare Sample Pack (some of them were one-time-use samples while others were deluxe samples), in addition to their usual Sample Pack (x5 pre-selected one-time-use samples, free with every order). Plus, if you spent XYZ amount on MAC stuff, you got a one-time use MAC Mascara (sample) and a MAC Lipstick (full size)! I was at Sephora (here) shopping for a birthday present for someone who was extremely difficult to please. Normally, I’m awesome at anticipating what people would like, but with this dude, it was next to impossible. In the end, I went with Cologne (safest bet) and hoped for the best! Also, much to my delight, they’d brought out even more stuff for “Beauty Friday” (discounted items) including the Cologne I ended up buying as a birthday gift (not shown because I already gave it to him)! I’m positive they hadn’t been on display the first time around (here)! I quickly snatched up several of the items I’d been lusting after (some on sale and some not on sale). I was really happy with my previous haulage from Nordstrom (here) so when I noticed that they were having another really cool promo, I decided to place another order. Plus, it was mah birthday (not that I needed an excuse to shop, since we’ve already established that I’m clearly a shopaholic). Basically, the promo was if you spent $135 (around KD 40) on Fragrances (including Eau de Toilettes and Eau de Perfumes and even Scented Candles), you qualified for the Gift With Purchase, which happened to be a pack of Fragrance Samples (haulage here)! As you can see, the items arrived individually wrapped in packing paper, in a rather large (practically empty) cardboard box also stuffed with packing paper. It’s not pretty, but hey, it works (everything arrived safely and undamaged)!